Criterion Equipment – has embarked on a short-term rental (STR) fleet renewal programme, encompassing a R45-million investment in new forklifts. “Through this initiative, we will replace older machines that have reached the end of their economic useful life, with new machines. The substantial investment in the renewal of our STR fleet, demonstrates our commitment to providing our customers with a comprehensive range of reliable machines, enhanced by dependable support,” explains Brenton Kemp, managing director of Criterion Equipment, a wholly owned subsidiary of Invicta Holdings Limited. 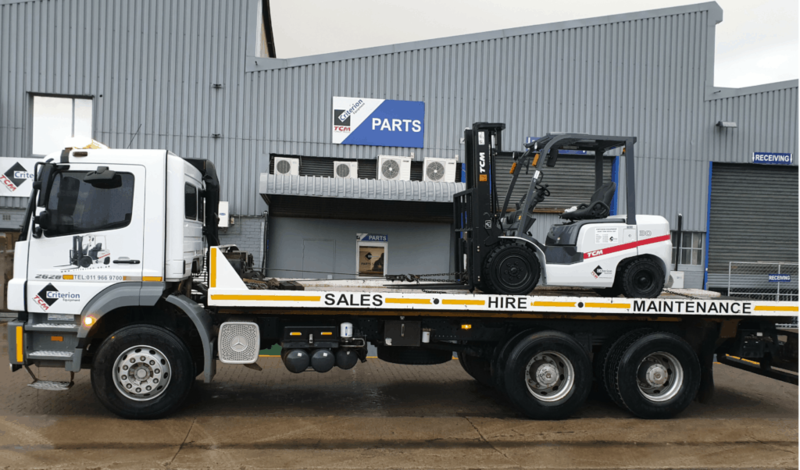 “By ensuring maximum up-time of our fleet, customers are able to focus on their core business, whilst the Criterion Equipment team takes care of their material handling requirements. “We have recognised a growing trend in the industry towards the short-term rental option, as a more affordable and convenient alternative to purchasing new equipment, as was previously the case. For this reason, further investments for the development of our rental business will be made. “Our STR business provides solutions for customers’ short-term rental needs, through daily, weekly and monthly contracts. In fact, this system suits many companies so well, that they extend their month-to-month contracts for years at a time. “There are many financial benefits associated with STR for customers, including greater flexibility by limiting capital expenditure and cash outlay for intermittent materials handling requirements. Customers can utilise their banking facilities in favour of financing their core business activities, as opposed to investing in capital equipment. Our STR program also suits companies with short-term or seasonal requirements and for those looking to increase their materials handling capacity for limited duration periods. 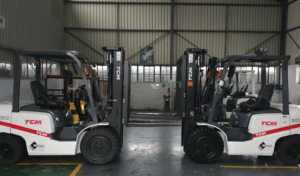 The fleet comprises all models of TCM forklift trucks, covering most forklift classes. 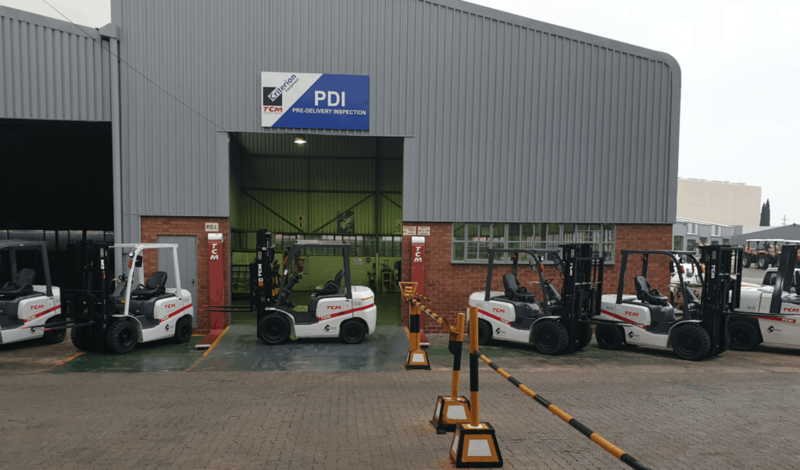 These include Internal Combustion (IC) counter-balance trucks, electric counter-balance trucks, reach trucks, powered pallet trucks and rough terrain forklifts. Mast configurations vary from standard two stage 3m masts to high-reach three stage masts. As part of the renewal program, machines being flushed out from the fleet will be sold into the used-equipment market in their current condition – or alternatively, as partially or fully refurbished units. In the current market, where there is increased demand for used-forklift trucks, refurbished TCM machines – known for high-performance and cost-efficiency – are being well received. Criterion Equipment’s national workshop facilities, which stock original TCM replacement parts, are equipped with the latest equipment to guarantee every refurbished machine adheres to original manufacturing standards. The TCM range is designed for high efficiency, safe operation, low maintenance requirements and extended service life. These machines are used in diverse industries, including warehousing and logistics, manufacturing, packaging, agriculture, construction, mining and general industry.